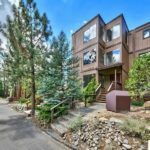 151 Holly Ln, Zephyr Cove NV offered at $539,000This rare, lake view unit at Lake Village has been updated and is in move-in condition. Recent upgrades include new flooring, granite counter tops in the kitchen and all bathrooms, fresh paint throughout and a new kitchen stove. Lake Village offers many amenities for you and your guests including a large swimming pool and spa, tennis courts and a clubhouse. It is one of our most sought-after locations not...Continue Reading!